Does Your Pet Have a Peeve? My dog is a drama queen. Yes, he is a boy. However, he is still as dramatic and queen-like as it gets. When I pet another dog, his tail sags and he walks away, sometimes even crying. This led me to wondering whether or not dogs can actually experience jealousy. 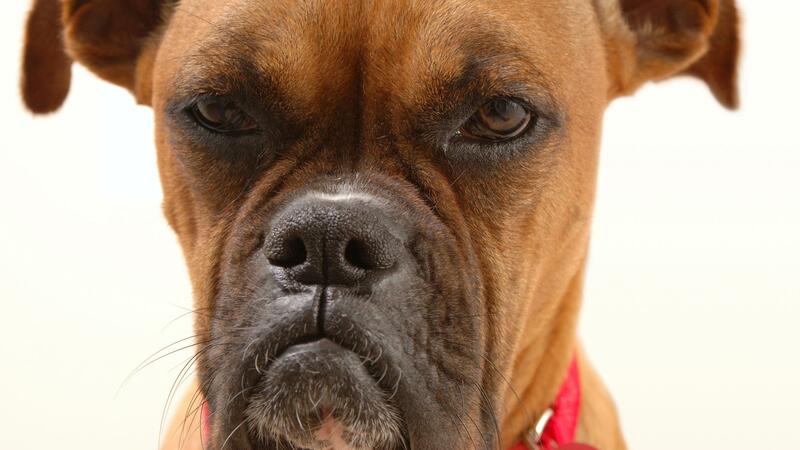 Many scientists hypothesize that dogs do, in fact, experience jealousy. A study conducted by scientists at the University of California, San Diego tested jealousy in dogs by filming the reaction of 36 dogs when their owners pet and talked to two inanimate objects: stuffed dogs and jack-o-lanterns. When the owners interacted with the stuffed animals, over 75% of the dogs reacted in jealous ways, such as trying to get in between the owner and stuffed animal. However, when the owners interacted with the jack-o-lanterns, only about 40% of the dogs acted jealously. Psychologists who analyzed this study determined that the dogs trying to separate their owners from the objects is a clear symptom of jealousy, substantiating the hypothesis that dogs experience jealousy in the same ways that we do as humans. Although this theory has been researched a lot recently, the hypothesis that animals experience jealousy actually traces back to Darwin’s research. In his Decent of Man, written in 1871, Darwin argued that dogs experience jealousy because of the desire to be loved and to be the center of attention. Darwin also argued that dogs feel many other human emotions, such as sadness, confusion, and irritation. This study, as well as many other similar studies conducted, help back up the hypothesis that dogs experience jealousy, but do not prove direct causation. Human jealousy is qualified by both behavior and vocal expression of jealous behavior. However, since dogs can only portray jealous behavior, they cannot be directly classified as having the same jealous behavior as humans. However, it is highly suggestive that dogs experience jealous behavior. This entry was posted in Uncategorized on September 17, 2015 by Leah Emily Tancer. When I came across this post I immediately thought of my dogs. I have two dogs and they are very jealous of each other at times. If a member of my family gives one dog more attention than the other, or plays with one dog more than the other, they will bark or scratch you until you pay attention to them. Also, my best friends dog is a very smart dog, and is overly protective. You can tell whenever a member of his family is around another dog, she starts to get protective and almost aggressive. Jealousy is a weird emotion and I think every intelligent animal must experience it to a certain extent. Thanks for sharing! I thoroughly enjoyed reading this article. I have a friend (who’s 20), but still acts the exact same as a child or even a puppy. When over at his house once I was talking to his family, and he started acting all weird and stuff. Now what I realize was that he was acting exactly as a dog would when not the center of attention or not being paid attention to at all. It always amazes me how relatable dogs were, and how human like they could be. They pick up on social cues, if you’re crying they comfort you, the recognize if you’re leaving or not, and can even understand basic word associations like “food”, or “walk”. I would totally agree between the bond of dog and his human, and the jealousy just goes to prove that. This is so relatable to my dog! Whenever I need a random hug session from my mom, like after dinner, or before I go to bed, when I’m not in state of course, my dog always feels the need to bark and jump on me because I am getting too close to his favorite person ever, my mom. My mom would always say he is jealous and until now that they is research about it that I understand exactly what she means. I agree completely that dogs and other animals feel the green eyed monster every once in a while. This post really caught my attention because my dog is extremely jealous of other dogs. We think that we spoil her too much, so when she is around other dogs she behaves badly. But I think dogs portray jealousy the same way as humans. Maybe its not direct causation, but my dog will try to get between me and another dog, and also bark and attack. Based off of my dog’s reaction, I feel like it is almost the same as a human’s jealous reaction. Humans can be jealous in different ways, and so can dogs.